EVH means Electric Vehicle H (Roman Figure +, the meaning of satisfactory and plentiful). The series is a modern hi-tech energy application product. 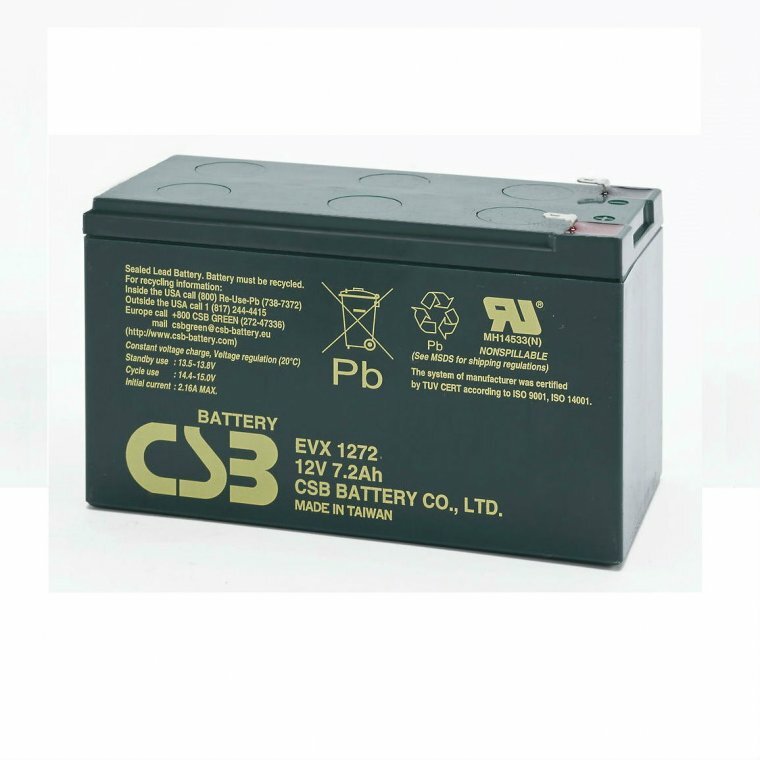 The EVH battery is especially suited for electric vehicles and hand tools systems. When it is used in safe surroundings, the battery is maintenance free, adding water is unnecessary and it can be recharged repeatedly. With an isolated seal, it allows for multiple install positions, its safety and functions will not be affected. Container material is frame retardant ABS with ranking UL 94V-0. CSB batteries are strictly tested by our patented CCDS (computer charge/discharge system). It has a high cycling (charge/discharge) life and long service life.